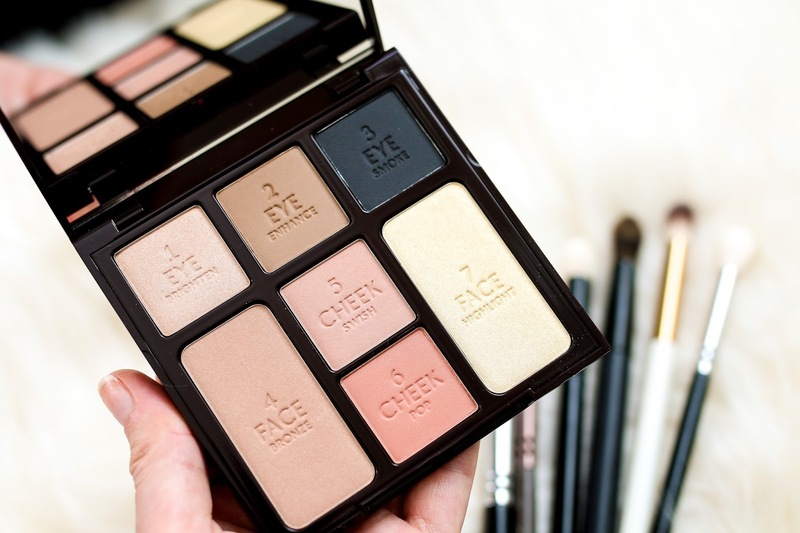 Charlotte Tilbury is known for her Instant Look in a Palette that she launched last year, and her most recent addition has a smokey eye focus. Everything you need to create a full face is contained in these palettes which make them super easy for daily use or even travel. There are 3 eyeshadows, a bronzer, 2 cheek colors and a highlighter though I find that I like to mix and match things around rather than using them exactly as intended. I love using the two palest eyeshadow colors on my lid and crease but only feel the need to use the dark shade close to the lash line if I want to add a bit of drama. To be honest, in the palette the dark black shade looks like it would be too blue or gray which initially turned me off. Then I swatched it on my arm (as you can see from the above pic) and loved how inky black it actually was. The face bronzer is gorgeous and so easy to blend/wear on my pale skin. I have actually been using it on my both my eyes and cheeks many days because it's such a soft and flattering color. The first cheek color swatches very subtly but develops when on my cheeks. 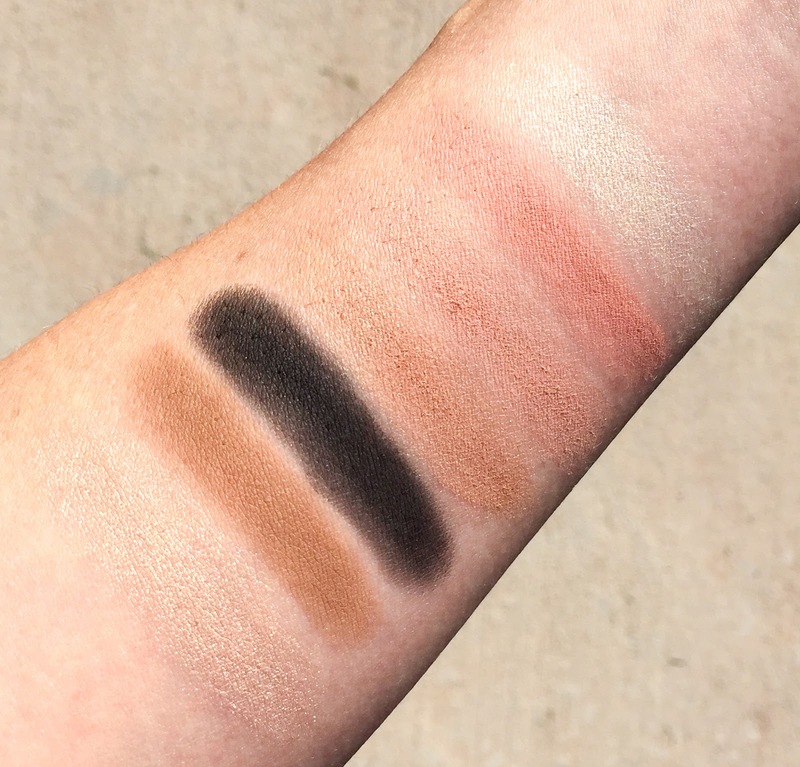 The second cheek color is the most perfect neutral pop of color for the apples that I find myself wearing it a ton recently with any eyeshadow look I create. The only slightly disappointing shade in the palette is the highlighter because it is SO yellow and frosted that it would only be suitable in the evenings for me. And even then, I need to use just a touch to create the look that I would want. In it's place, I have been using the palest eyeshadow color as a highlight and LOVE the way it gives a warm champagne look to the skin. I don't think this palette would work on every skin tone sadly, but the pigmentation is stronger than I first anticipated so I think it would suit those with fair, medium and olive skin.